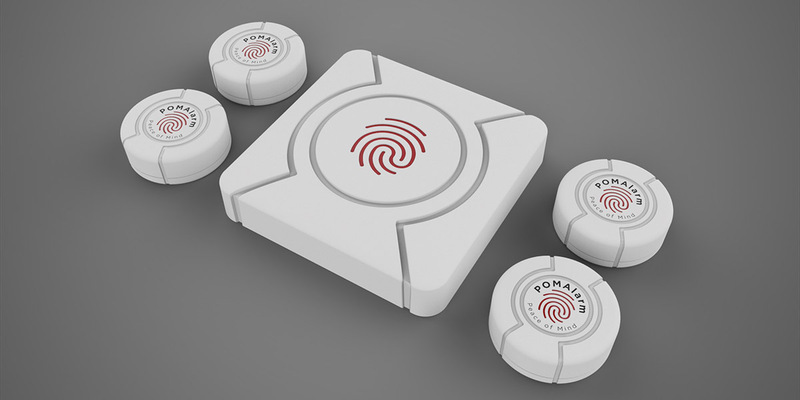 The POMAlarm is now available for pre-order with expected product for shipment spring 2018. This smart home device helps people monitor access to restricted items. The inconspicuous detector can be hung from a liquor bottle, attached to a medicine cabinet, or placed on a jewelry box. Whenever the detector is moved, the user is notified by an alert from their smartphone app. The POMAlarm is designed to work in a system with the detectors connecting to a central hub placed within the home. This allows the users an unlimited number of items that can be monitored. Hank Jones, founder of 21st Century Creations, came to Touchstone 3D with a product concept and a use scenario. We helped him develop the concept, bluetooth connectivity from the detectors to the hub, creation of the design language for the product family, and the manufacturing transfer. The result is a user friendly system that blends seamlessly into the home environment.